What is Oat Milk? What are oat milk’s nutrition facts? And, where can you find this new, popular plant milk? We tackle it all, and even provide a recipe on how to make homemade oat milk. Gone are the days when milk just came from cows. Hell, gone are the days when milk came from soybeans, or even nuts. But let’s be real, soy milk hasn’t been trendy since Finding Nemo was in theaters. Starbucks has yet to jump on the oat milk trend, but it’s becoming so popular at local coffee shops that they can’t seem to keep it in stock (unlike their “Haha Good Luck Buying A House Avocado Toast” toast). So pick up a box of Pacific or Oatly online, or make it at home with the easy oat milk recipe below. Or, just wait until the coffee mermaid deems it trendy enough to start serving. Oat milk is milk…made from oats. We’ll give you a moment to collect yourself after that groundbreaking information. When you blend oats and water together, then strain the liquid, the result is something that really does resemble milk. It’s a smooth, creamy, white liquid that goes well in coffee, cereal, or however you like to use milk. And, it’s not called “nut milk” so that’s a win all on its own. Sweet, smooth, creamy tears from heaven. It tastes just enough like cereal milk to make you remember the joy of finding a toy in at the bottom of the box as a child, but not enough to remind you of the hideous bowl cut you had at the same age. Oat milk is lighter than most nut milks (oh god, we had to say it), and it doesn’t taste as bold as soy milk. It’s like the middleweight of non-dairy milks. Think of it like this: When it comes to mixing plant milks into your coffee, overly-processed almond milk is like the cheap beer that college students love because they don’t know any better and it’s easy to get. Soy milk is like malt beer. It’s thick, coats your taste buds, and ruins anything you put into your mouth afterwards. Oat milk is like wheat beer. It’s flavorful without being overpowering. Are There Any Benefits to Oat Milk? Oat milk is an animal-loving best friend: it’s lactose-free, gluten-free, soy-free, and vegan-friendly. And for all those poor souls who can’t get within sniffing distance of nuts, oat milk is nut-free, too. And, it’s hipster approved too. On Oatly’s site, “Bicoastal Filmmaker Mom” writes, “I was told I couldn’t buy it as a civilian, but just found it online and ordered a case tonight and cannot wait,” so you know it’s legit. In terms of oat milk’s nutrition, it’s not that different from most plant milks. According to the nutrition labels, oat milk contains approximately 130 calories per cup, 3 g fat, 24 g carbs, 110 g sodium, 19 g sugar, 2 g of fiber, and 4 g of protein. It has no saturated fat or cholesterol. But as its nutrition facts show, it does lack the protein that’s found in cow’s milk. 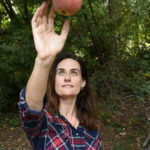 “If you’re trying to use use non-dairy alternatives to get protein, nut milk, or oat milk is not going to do it for you,” explains Ashley Galloway Thomas, MS, RD, LDN. Nut milk and oat milk only have about one to two grams of protein per serving, whereas cow’s milk clocks in around eight or nine grams per serving. Soy milk or pea milk on the other hand, have roughly the same amount of protein as cow’s milk. Weirdly though, no coffeehouses are running out of pea milk. Other nutritional aspects to be aware of when it comes to different kinds of milks involve calcium and Vitamin D. After all, aren’t kids taught that they need to drink milk to grow strong bones? But cow’s milk isn’t the end all be all for that. “You get both calcium and Vitamin d from other sources, and most brands of alternative dairy milk add them in,” Thomas says. The popular oat milk brand, Oatly, does just that. Oatly’s original flavor includes a total of 35 percent DV of calcium and and 40 percent DV of Vitamin D. Maybe vegans are actually onto something… but please don’t ever tell them that. 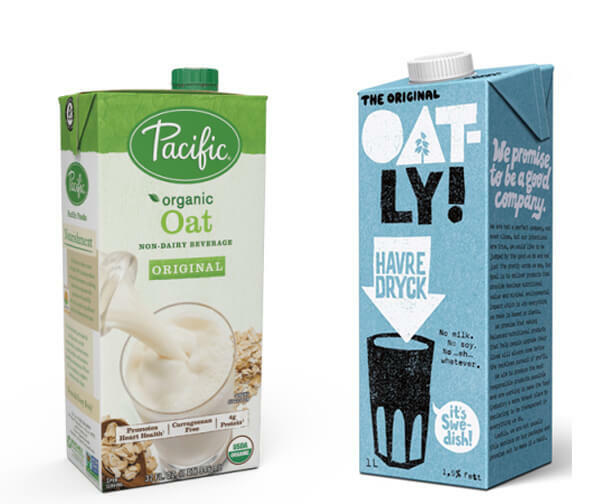 Oatly is headquartered in Sweden, so oat milk can’t be too bad for you. Have you ever seen a less-than angelic Swede? (Lookin’ at you, Alexander Skarsgård and Alicia Vikander). But if we want to get technical, you’ll really only run into nutritional problems with oat milk (or any milk alternative) is if you have an intolerance to additives put into the mix. But if you make oat milk yourself (using the super simple oat milk recipe below), then you know exactly what’s going into it. However, homemade oat milk won’t have any added calcium or vitamin D that store-bought brands often include, and we don’t advise crushing up supplements and muddling them in, either. Nice try, Walter White. So if you do buy oat milk (or other milk alternatives) at the store, it all comes down to reading the label. Should You Try Oat Milk? This really feels like a personal choice? Also, the waiter would like you to stop asking him what you should order for dinner. But, if you need some validation for this big life choice, listen to Thomas’ sage advice. “I think milk alternatives are a fun way to experiment with new flavors,” she says. “If you have time and resources to make your own oat milk or nut milk, do that.” Foodies probably consider themselves pretty fortunate that they don’t have to settle for plain old cow juice like their ancestors from back in the 1990s. We hear those people didn’t have Instagram then, either. I’m not one for DIYing things that I can buy at the store, but local shops are charging up to seventy-five cents to swap it for “regular” milk. And I’d rather put that money toward my avocado toast fund. But oat milk is stupidly easy to make, no matter how little experience you have in the kitchen. While almonds have to be soaked for multiple hours and then peeled, oats can be blended right up with water, producing a finished product in five minutes or less. Plus, oats are a lot cheaper than almonds, so if you do manage to mess this recipe up, it’s not as soul crushing. 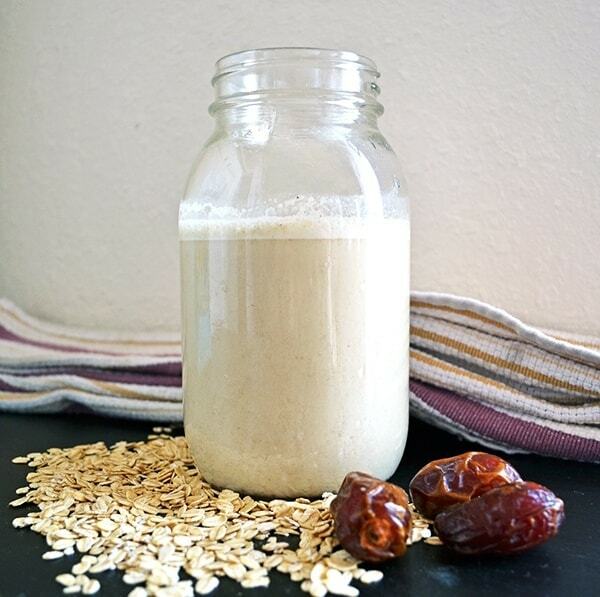 This oat milk recipe could not be easier! Just combine oats and water to make at milk and home. Add dates, vanilla, other other spices as desired. Place oats, water, vanilla extract, and dates in blender. Blend until oats are blended and mixture is an even consistency, approximately 30-60 seconds. Place mesh strainer over bowl and pour oat mixture into strainer. Press down to strain all liquid from oats. 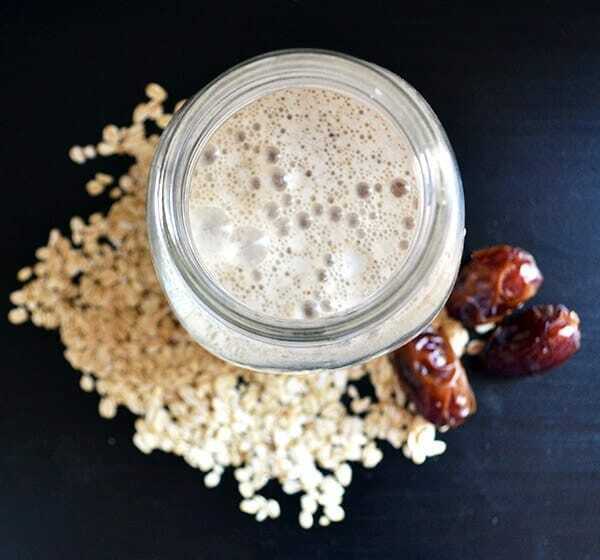 Transfer oat milk to sealable container such as a Mason jar and store in refrigerator. Adjust the recipe to your taste buds. For sweeter oat milk, add more dates, honey, or maple syrup. For chocolate oat milk, add cocoa powder. You may use a nut bag instead of a mesh strainer to strain the mixture. That’s it. This is seriously the easiest recipe ever. This looks great, and I love your writing style. I found myself chuckling as I read through this post! Thank you! We pride ourselves on delivering quality information in a not-so-serious way! I genuinely never knew you could make milk from oats! But it looks so easy and delicious!! I know! We didn’t realize it was so versatile either until the coffeeshops in our neighborhood starting featuring it and then running out of it! I’ve been living under a rock and I just crawled out — I’ve never heard of oat milk before… Not that that’s revelatory — I’m usually the last in line for something “new”. This sounds really tasty though — I like your description of cereal milk — you got my attention with that. Thank you! We think oat milk is really tasty! It doesn’t have as much protein as cow milk, but I’ve been using it as a way to switch up the flavor in my lattes. I must try this! I’ve made almond milk before but never oat milk and it probably has a lovely taste. I never did like soy, so this is perfect. I like the idea of adding dates as a sweetener. This is so easy to make at home! I’ll definitely have to give oat milk a try! I’ll have to give this a go, it sounds yummy! Do you have any suggestions for what to do with the solids that remain after making the milk? For sure! You could use the oat pulp in smoothies, or add it to a bread or cookie recipe! I imagine it might also work for overnight oats, but I haven’t tested it just yet. Great questions! Steel cut oats will have a slightly different texture and flavor than rolled oats. Although I didn’t try this recipe with steel cut oats, it’s usually recommended that you soak steel cut oats before blending, while you can get away with not doing that with rolled oats. I found that when you blend the rolled oats enough, there wasn’t any slime (or at least it wasn’t noticeable). But if you’re worried about it, you can soak the oats for about 10 minutes, then rinse them before putting them into the blender. Hi Karolina, that’s great that oat milk is so popular there! It’s slowly starting to become more common here. As for the difference in methods, I think it just comes down to preference. Some people notice a “slime” when the oats aren’t soaked beforehand. Soaking them removes any outer coating that might create slime, then you would mix it with fresh water once it’s removed. I didn’t follow that method and it worked fine for me. But you can test both methods to see which you prefer. Hope that helps! Hi! I have yet to do an experiment or do some thorough reading on the matter, but I think when you use the original water that was put with the oats, that water has all the starches that come out of oats in it, which could also contribute to the “slime” some people notice and do not like. Replacing that water will probably get rid of the starches that came out of the oats, but I’m not entirely sure what is left besides that once you end up blending the new water with the soaked oats, and then strain. Thank you for the recipe! Love your writing style. We’ve been buying oat milk, but it’s so cheap to make at home that I may never buy it again. We use it for cereal mostly, and my two-year old (who has many food allergies) just asked for thirds to drink straight! Many blessings!!! Thanks so much! It’s wonderful to hear that you like the recipe (and the writing!). Enjoy! How long will it last in the fridge..? If it’s in a sealed container (like a mason jar), it should last up to 5 days! Where did you get your nutritional data from- Im trying to find the full nutritional breakdown somewhere? Hello! We put the ingredients into My Fitness Pal and used the estimated data from there. Oh no! I’ve been having almond milk this whole time! Now I realize I might not be basic enough. 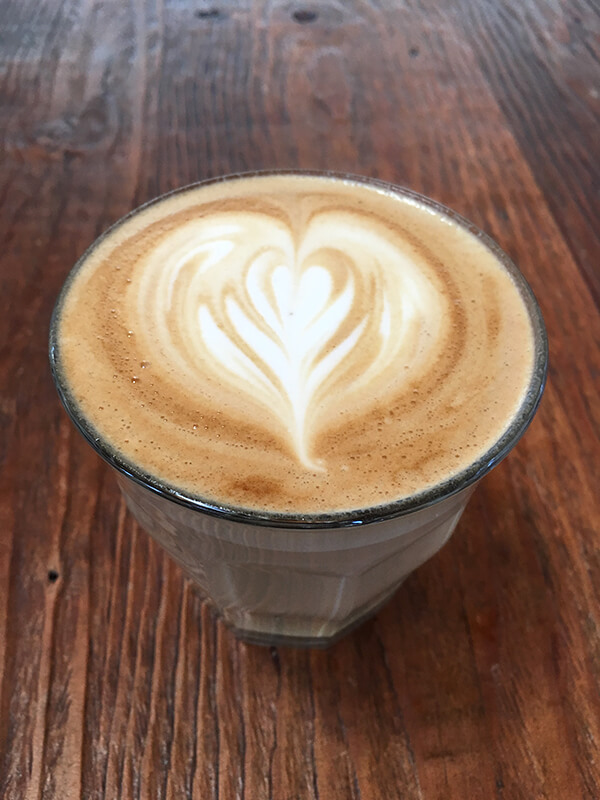 Are you able to froth and heat up this oat milk? Would love to use to make lattes at home! Froth, yes. Heat, no (gets super thick.) Also, didn’t see anyone mention it above, but directions for homemade oat milk go anywhere from 2c to 4c water blended with 1c oats. So calories per cup varies significantly.